Hop onto a fresh new set of wheels today with Turo! Sign up for the innovative car-sharing app Turo with Facebook, Google, or your email. Established in 2010, Turo is a peer-to-peer car sharing program where you can “book the car of your dreams.” Hosts on the app deliver a wide variety of cars with 250,000+ options. Turo is available for adults aged 21+ in 56 countries, 5500 cities, and with over 6 million users. Getting into a new vehicle has never been more simple! Just meet the car owner to pick up the car. Many owners offer delivery, so they may bring it right to you. Take a look at the car, show them your license, grab the keys, and you’re all set for the fun. The owner will confirm or decline your trip within eight hours, but typically it’s much sooner. You can even pick up a car remotely with TuroGo, which allows owners to unlock cars from their phone, if the car’s system supports it. Book cars instantly on listings with the “Book Instantly” badge. You can even message owners directly and exchange numbers for easy drops or arrange meeting times at the airport. No insurance? No Problem! Turo offers 3 different liability insurance packages from liberty mutual in the US and other major carriers across Canada and Germany. Those who prefer to use their own insurance can decline this option. Turo even allows customers to add a secondary driver onto trips, in case you have a friend coming along for the ride. For those looking to become a little more adventurous, add-ons are available, like car-seats, mountain bikes, ski racks and more. This great alternative to conventional rental car companies offers exclusive cars that you can’t find anywhere else, like The Dodge Challenger SRT Hellcat, with 6.2-liter V-8 good for 707hp. Rates for nice luxury cars are a bargain such as the 2017 Infiniti Q50 for only $52 per day! Turo is also great for people who already own a set of wheels. It’s a great way to earn extra cash for college or simply subsidize your car payment when you need to. Listing your car on Turo is as simple as getting one, just create a free listing within a few clicks. Describe your car, upload some clean photos, and you’re ready to go. Be sure to keep your calendar up to date, so travelers know when your car is available. Turo holds about 10 to 12 orientation and communication events per year. The most recent one was in NYC, where they brought together active hosts and offered app feedback to the engineers and marketing representatives of Turo. You can learn more about how Turo works here. 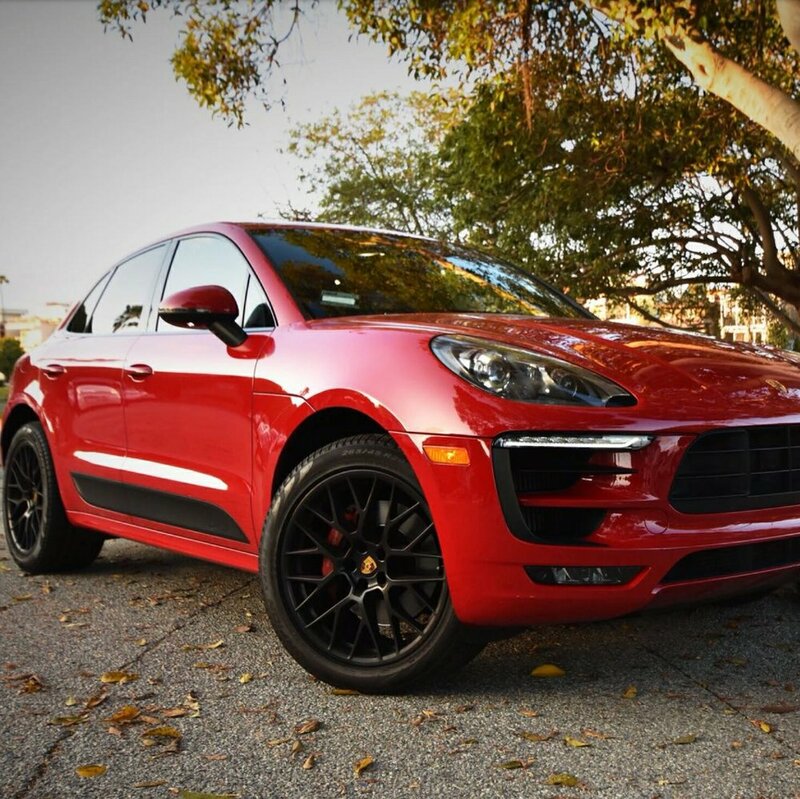 Turo granted 360 Magazine the special opportunity to try the service out for themselves with a 2017 Porsche Macan GTS SUV. 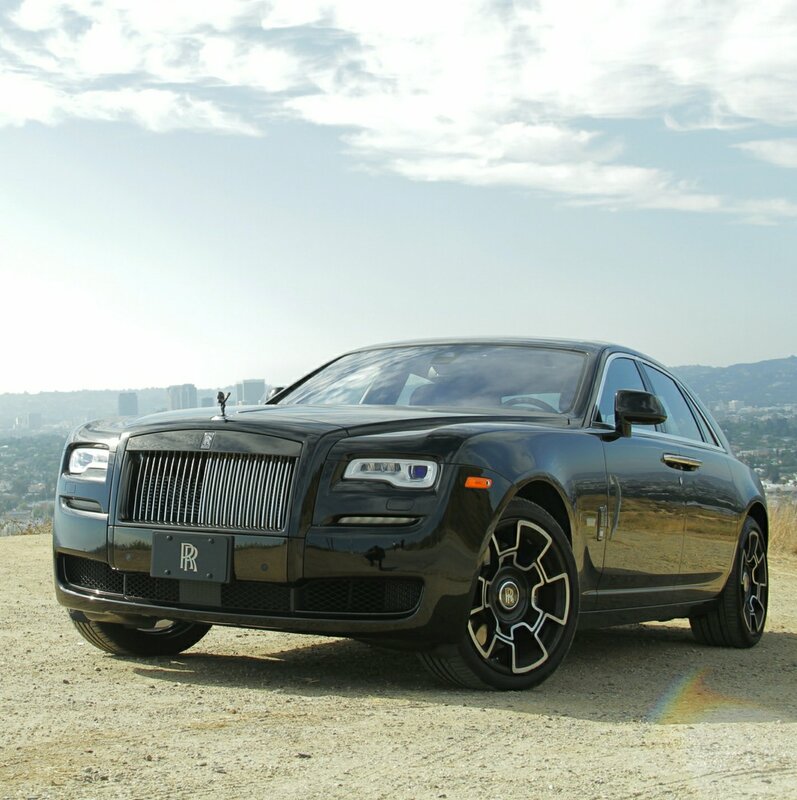 The luxury car is available on the app for a great price! Cruise around your city with 360hp and a digital dash. The candy red paint finish coupled with black interiors and red accents really set the tone for the night, as the car is a complete attention getter. Turo is available on Apple and Google Play. For more information visit turo.com and be sure to check them out on Facebook, Instagram, and Twitter as well. This entry was posted in Auto and tagged 2017 Infiniti Q50, 2017 Porsche Macan GTS SUV, 360 Magazine, 6.2-liter V-8, 707 hp, adventure, adventurous, airport, android, app, Apple, Atrin Yazdani-Biuki, bargain, black interior, Canada, car, car-seats, city, Cruise, driver, Germany, Google play, insurance, insurance packages, luxury, luxury car, luxury cars, Max Mason, McCellies Mason, mountain bikes, new york city, night, nyc, Owen Duckett, pop culture, red, red paint, rental car, rental car companies, ride, Roadtrip, ski racks, The Dodge Challenger SRT Hellcat, traveler, travelers, trip, Trips, turo, us, USA, Vaughn Lowery, vehicle, wheels on June 18, 2018 by wp360mag. Elton John today announces the forthcoming release of ‘Diamonds.’ Released on November 10th through UMe, ‘Diamonds’ is the ultimate greatest hits collection from Elton John and will be available on 1CD, 2CD, 3CD limited edition boxset, 2LP heavy-weight gatefold vinyl and digital formats. ‘Diamonds’ coincides with the 50th anniversary of Elton’s phenomenal song writing partnership with Bernie Taupin. Meeting in 1967 through a music magazine advert seeking songwriters, Elton and Bernie went on to become one of the most enduring song writing duos of all time, achieving a sustained level of success that puts them head and shoulders above the competition. Catapulted into the limelight as a song writing force in 1971 with ‘Your Song,’ the duo never stood still creatively, defining an era with their run of back-to-back classic 1970’s albums. While ‘Candle In The Wind’ topped the charts in three different decades and 2016’s critically acclaimed ‘Wonderful, Crazy, Night’ was a top ten hit in the US, their legacy is one that is unrivalled in terms of longevity, creativity and commercial success. 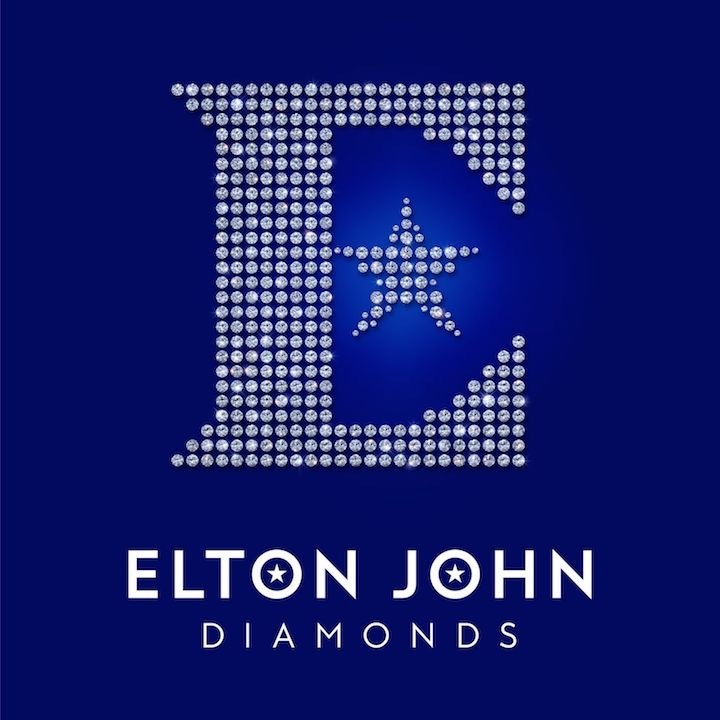 Available in the US to pre-order now on four physical formats (plus digital formats), the 1CD version of ‘Diamonds’ contains 17 songs, the 2CD version of ‘Diamonds’ contains 34 songs, a 10-page booklet with contemporary illustrations of iconic Elton looks, while the 2LP version is pressed onto heavy-weight 180 gram vinyl and contains gatefold artwork. Housed in an attractive lidded box, the 3CD limited edition boxset version of ‘Diamonds’ also contains a 72-page hardback book containing annotations for the stories behind each track plus a set of five postcards of illustrations of Elton. As well as a collection of some of the best loved songs of all time, all illustrations in these four formats are by contemporary artist Richard Kilroy. An unparalleled career that has forever changed the cultural landscape, Elton John and Bernie Taupin’s music continues to fill stadiums, top charts and win new fans across the generations. This entry was posted in Uncategorized and tagged 360 Magazine, 70s, Bernie taupin, collection, colorful, crazy, crocodile rock, diamond, Diana Macaraeg Elton John, don’t go breaking my heart, eclectic, flamboyant, greatest hits, lady Gaga, legend, limited-edition, Lion King, night, Nikita, piano, Richard Kilroy, sacrifice, top charts, Vaughn Lowery, wonderful, your song on September 29, 2017 by Pitch360. A few years ago, Rolls-Royce began noticing that they were in somewhat of a pickle. They’ve unarguably been building the ‘ultimate luxury car’ and have been the leader in that category for over 100+ years; but as of late, the company learned the thing that they do best – isn’t exactly what people want anymore. 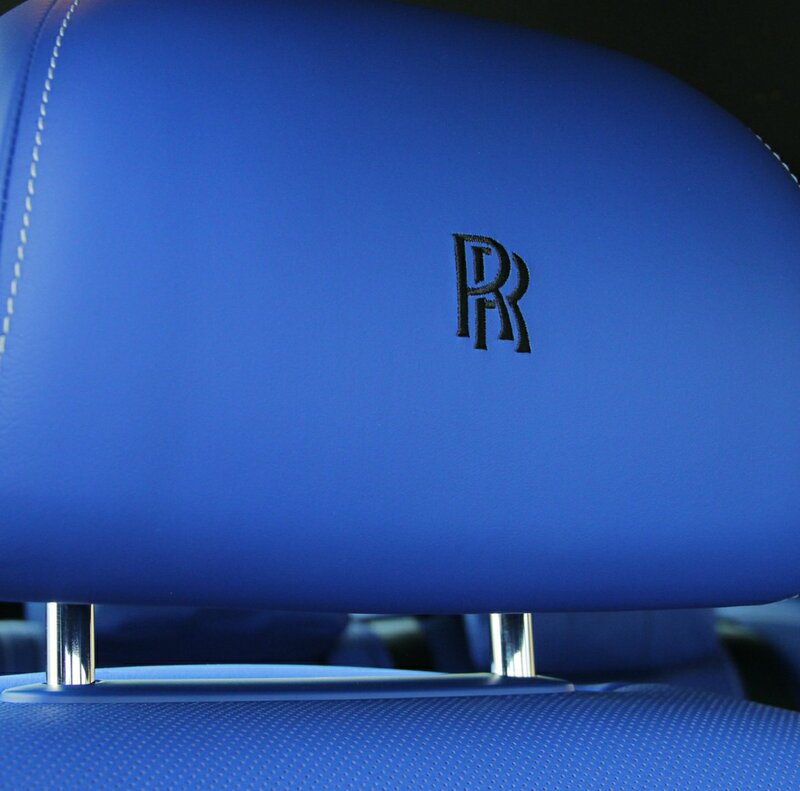 The fresh wave of Rolls-Royce consumers are emerging ‘fast money’ elite within a global society whom demand more than just luxury from a brand that purely builds luxury cars. Not coincidentally, Rolls-Royce found a way to keep us in the dark about this, and in doing so created the ‘Black Badge’ edition to answer our cries. The Ghost Black Badge in the short-wheel base platform is much more athletic and dare we say ‘naughtier’ than in standard configuration. On the exterior, nearly all of the traditional chrome has been blackened including the retractable spirit of ecstasy, window trim, wheels and grille. Although It might appear subtle to the common eye, it has a lot to say to the purist, so for the manufacturer this is a win-win. The engineering team realized what their job was – keep the class, create the hustle and make it fearless. From the ground up, the frame has been recalibrated to make the Ghost feel like you’re floating on a cloud while cruising down Sunset Boulevard to driving on rails while sprinting across Mulholland Drive. Multi-layered carbon alloy composite 21-inch wheels were designed around the idea of exotic italian super cars from the 70’s era and the tires have low-rolling resistance characteristics. The brakes alone are an outstanding feature on this series and come well-outfitted with energy regeneration, dynamic/cornering control and a host of additional features. For millennial investors, the Ghost Black Badge also receives an extra 50 or so horsepower pushing output to over 600hp. On the inside, performance and luxury is infused using technical weave on the dashboard; lambswool floor mats; a starlight headliner, which can blink you into a dream and a bespoke premium audio system pumping out 600 watts of youthfulness. Our Ghost Black Badge arrived in piano black over an extremely irresistable cobalt blue interior with contrasting arctic white stitching which appeared better than the pinstripes on a Zegna suit. The individual seat configuration alongside a cutting-edge infotainment system, housing a 20.5GB hard drive disc for storing music files plus night vision. The Ghost Black Badge will set you back a mere $416,605 USD, but considering that a Lamborghini will cost more and you can’t bring your friends along for the ride or even hang out in the back seat – it’s nothing short of astonishing. And to imagine, this is the first time we’ve witnessed Rolls-Royce show us their other hand! *All photos by Tyren Redd. This entry was posted in Auto and tagged 360 Magazine, auto, Benjamin Reese, black badge, bmw, bold, Britain, dark, dark horse, dynamic, edgy, fast cars, Ghost, Global Society, GQ, hot cars, hot wheels, intense, la, Los Angeles, luxury, night, phantom, pop culture, rich, Robb report, rolls royce, rr, sedan, shin Takei, sports car, super car, tyren Redd, UK, v magazine, Vaughn Lowery, vogue, Wraith on September 29, 2017 by wp360mag.